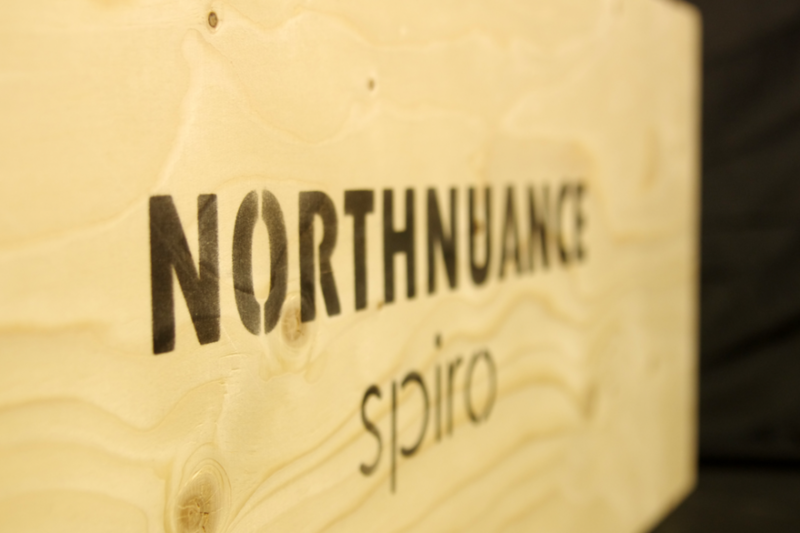 Simply expressed, what makes Northnuance Spiro is a single-driver in a TL cabinet. Sounds simple, but in reality, only the concept is simple. Take the TL cabinet, for instance. Anybody besides the most impractical of us can make a TL enclosure, but to obtain a tuneful and controlled bass out of its accurately measured tunnel, is a task of a totally different level. One needs to know what one’s doing, and having interviewed Northnuance’s head designer Mikko Hyppölä, I know he does. The Fs of the driver is 93 Hz, and the TL is tuned to the same frequency. The combination provides a bass response that extends flat down to approximately 80 Hz, and then decreases slowly. In practice, the response begins to fall an octave higher. There are well thought-out reasons for the chosen bass response. First, the bass response is designed for small, acoustically challenging 10 – 20m2 living rooms with stone/concrete walls, where the design helps in attacking adverse room modes by not waking them up in the first place, and by offering the possibility for curbing the upper bass by adding lambswool to the hole of the 1m long TL tube. 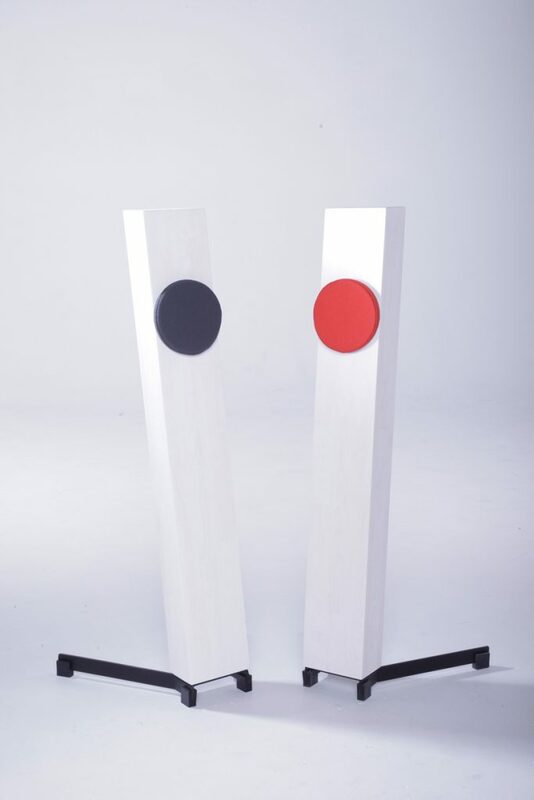 The Spiro is an unusual single-driver loudspeaker in two ways. First, it’s so designed that free-field and room responses are not a result of a haphazard process, but fully under the designer’s control, and second, more than other widebanders I know, it is willing to compromise in bass in order to get the HF content right. Already 80 years ago speaker manufacturers knew how to make elements that would cover the 80Hz to 8000Hz range. The dream was to have an element or elements that would have assisted them to build speakers that go from 50Hz to 15000Hz, and in contrast to the Spiro, more often than not, the lower limit was considered to be the more urgent challenge, and a true condition for the good sound. 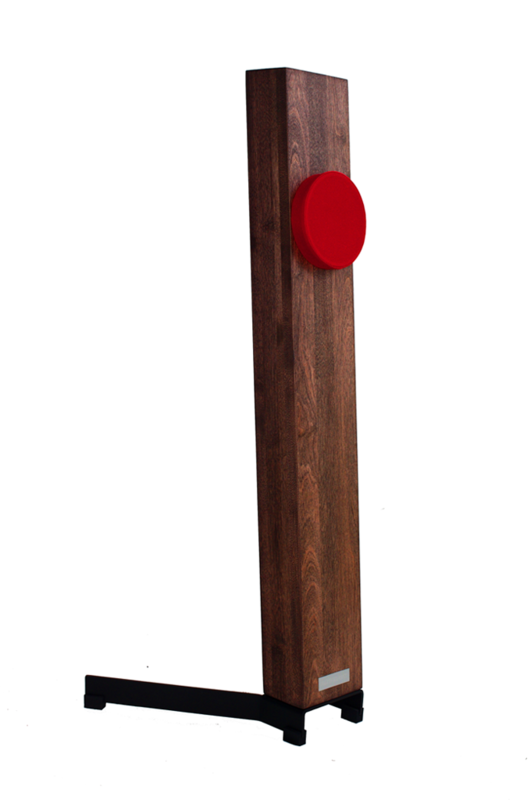 The Spiro’s bass response is said to descend down to 40Hz in a suitable environment/room; for the real mid and upper bass the company offers Spiro-adjusted bass speaker called Sub-Spiro (1395e per piece). One of the great features of the Spiro is that even without the Sub-spiro, and without a lavish reproduction of the low/mid bass, and despite a certain light-weight character of the overall tone, the sound feels full and wholesome. The reason is that the sound is fabulously in balance with itself or within itself. How music comes out feels correct and smooth, anything but pronouncedly thin. The other principal reason for the design is that with a relatively small widebandwidth driver “with top notch distortion and vibration characteristics” (no whizzer cone), the designer has been able to obtain the sort of treble performance he’s been searching for. There the goal hasn’t been so much to achieve a treble extending up to 20kHz than to have in every way a linear and seamless HF response, where transient attacks are reproduced accurately and the “highs are not unbroken”. The unit is an aluminium cone 70mm OEM driver, and it became selected because it was perfect for the intended job. Much more than that the manufacture doesn’t want to reveal about the driver. The goal hasn’t been so much to achieve a treble extending up to 20kHz than to have in every way a linear and seamless HF response, where transient attacks are reproduced accurately and the “highs are not unbroken”. Amazed by how different, trivial, the sound of the instruments was, visual and subjective sensory stimuli excluded, when reproduced through loudspeakers, as compared to the live sound, Hyppölä begun to study the relevant literature, and make experiments of his own, in various rooms, in larger halls, outdoor and in an anechoic chamber. The flat frequency response proved to be just the peak of the iceberg when it comes to the naturalness of a sound. After all, the frequency response of the recording is typically the mixer’s and master’s own interpretation of the appropriate tonal balance based on his or her personal preferences played back with certain near field monitors. It turned out, from a technical point of view, important that the widest possible bandwidth is reproduced by one element only. The main conclusion of Hyppölä’s experiments was that the soundness of the sound is primarily influenced by the time axis, that is, the time-coherence of the sound impulse in different frequency ranges, as well as, on a micro level, the ability to produce air pressure variation, i.e. the sound, without distorting the electric signal. Sounds simple, but virtually no multi-way-speaker can even get close to these requirements, says Hyppölä. The sound is primarily influenced by the time axis, that is, the time-coherence of the sound impulse in different frequency ranges, as well as, on a micro level, the ability to produce air pressure variation, i.e. the sound, without distorting the electric signal. Sounds simple, but virtually no multi-way-speaker can even get close to these requirements, says Hyppölä. Complexity is increased by room conditions. Coherence of the sound must be valid for each spatial axis, despite the fact that the share of the room-influenced sound entering the listening position is typically significant compared to the direct sound of the loudspeaker. Knowing this, we can understand that the selection of an appropriate widebandwidth driver must have been a long process. The proof? When Mikko chose the tweeter for his hybrid 3-way speaker Variante, he went through 13 different models, and made it by adjusting the crossover to the 0.5dB accuracy and matching the frequency responses, in order to be able to listen to just the “sound” of the elements. He was surprised how different different tweeters sounded – domes, ring-radiators, ribbons etc. – and how different sound different film materials etc. produced. Finally, the selection produced 2-3 serious candidates, of which he chose a Seas dome. Thus, according to Hyppölä, take any high-quality recording containing acoustic music, it is only the widebandwidth drivers that can fully reproduce their transparency and spaciousness, and which remain hidden with many conventional multi-way loudspeakers, and the reason for this is the widebanders’ ideal time and locational coherence. In this regard the Spiro is quite a successful speaker. On one hand, the violin’s highest harmonic overtones come out clean and sharply. On the other hand, cymbals and other instruments with non-harmonic overtones are being reproduced with no artificial hiss. The treble is less “dry” and less uninformative than what can be found of in some larger widebandwidth units, although not entirely free from certain treble generosity and roundness endemic to all WB drivers to some extent. 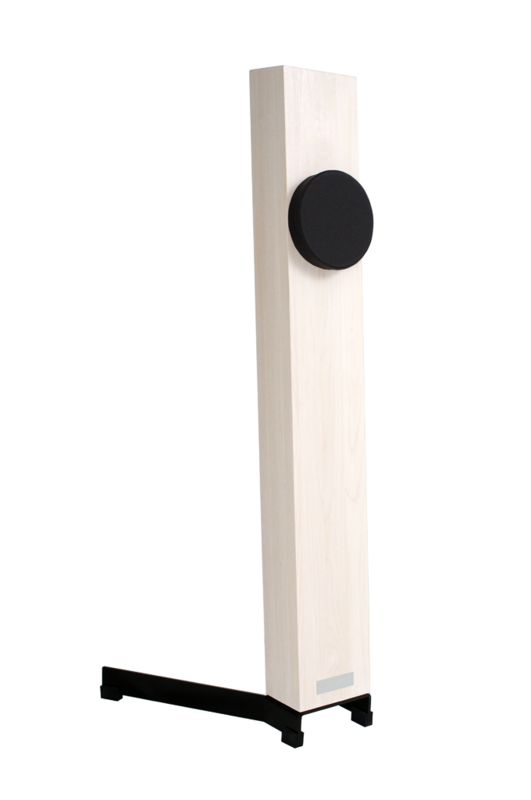 Take any high-quality recording containing acoustic music, it is only the widebandwidth drivers that can fully reproduce their transparency and spaciousness, and which remain hidden with many conventional multi-way loudspeakers, and the reason for this is the widebanders’ ideal time and locational coherence. A way to confirm that the widebandwidth unit works as planned is to compare Spiro to Variante, the said 3-way equipped with a switch at the bottom with which one can swap between single-driver and 3-way options. Very often, and especially when the comparison concerned acoustic music of any sort, it was easy to be on the side of the single-driver option. The 3-way solution bettered only with compressed rock and similar music. At the first glance, one might think that the Spiro’s driver is protected by a grill. In reality the “grill” is an “absorption waveguide”, the purpose of which is to control the speaker’s directivity characteristics by acoustically EQ’ing the response in a designed manner. It’s not entirely rare to see horns and waveguides and even Hemholtz resonators built into single-driver widebandwidth loudspeakers, but the sort of device that covers the unit in the Spiro I don’t remember having seen before. The absorption waveguide has a layered structure with three different dampening materials: foam, pulped volcanic rock wool and lambswool. The density and amount of each has been carefully chosen in order to affect the Spiro’s free-field and room responses. As a result, the sound is more immune to the room’s peculiarities than without the waveguide; it’s more predictable when taken from one room to another; it’s more unified; and it retains its sonic character in a wide listening area; and so on. In other words, many good things ensue from the waveguide. From above we can see that the designer of the Northnuance Spiro is not an impractical daydreamer. 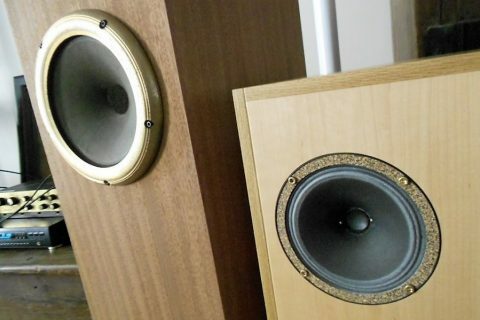 He’s not in favor of widebandwidth loudspeakers because of some romantic reasons, instead the speaker features technical solutions that are truly thought to be beneficial to the sound, including the decision to use a single driver. According to the manufacturer, Spiro can do 97dB SPL with very little distortion. That means plenty of pure and clean sound for most mortals, more than enough in fact. No matter, it’s clear that the speaker is not primarily designed for the wildest house parties, and is instead at its best when used for calm and quiet listening. It doesn’t follow, however, that the Spiro’s direct and open and naturally detailed sound would be limited to a narrow branch of music. Not at all. Perhaps those who are into the heaviest heavy metal could not live with the Spiro’s bass and lack of disruptive energy and burning brightness, but otherwise the speaker is surprisingly omnivorous. Sonically Spiro is a risk averter, and for a good reasons so. It is designed to please a wider audience (including women) with an easy and optimistic and immediately likable sound in a modern simple cabinet design. Strictly from a hi-fi point of view I would have wished a tad more precisely defined presentation, and a sound that would not grow with volume, and that would more often have stayed on its own territory. But these are minor remarks in relation to the aspects of the sound with which the speaker is good at. Strictly from a hi-fi point of view I would have wished a tad more precisely defined presentation, and a sound that would not grow with volume, and that would more often have stayed on its own territory. But these are minor remarks in relation to the aspects of the sound with which the speaker is good at. Over the years, I’ve heard dozens of different types of single-driver speakers with a 3-5 inch (70-120mm) driver: in a baffle, in front of a rear horn, a spiral horn, in transmission lines, bass-reflex cabs, velocity porting cabs etc. Most of these have not dared to step into the market with such a small and therefore bass-shy cabinet as Northnuance with the Spiro. On the other hand Spiro has a lot to offer over the frequency range where multiway speakers usually add a tweeter, and where other widebandwidth spekers must rely solely on what the chosen driver is or is not able to do. The time spent with the Spiro proved that the approach chosen by Northnuance has solid grounds. It’s a well-argued approach producing a well-argued sound. Given all the effort (hundreds of simulations and prototypes) and expertice that has gone into designing and building the Spiro, I find it almost embarrasing that a pair of Spiro cost only 995 euros! The speaker may not be for everybody (no speaker is) but its price/quality ratio certainly is very very good. And there are various color combinations from which to choose from.